With a relatively low sensitivity to oil prices, Royal Dutch Shell (RDS) is well positioned in the current commodity environment. The long-term agenda set out by the new CEO to improve performance is clear, following some tangible success in 2014. We continue to see restructuring tailwinds into 2015. The long-term upstream project line-up is solid, and Integrated Gas remains a key profit engine. We [were] impressed by improved upstream unit profitability (up 32% year over year) at $17.10 per barrel of oil equivalent [in Q3’14], although production volume was below our expectations. Q3’14 EPS of $1.85 compares to our estimate of $1.70 (Street $1.74) … [T]he variance came from upstream Americas (+$0.12 per share) and downstream (+$0.12 per share), partially offset by corporate earnings (-$0.10 per share). Net income per barrel increased 32% year over year to $17.10 per barrel of oil equivalent, as Shell continues to reshape its portfolio, replacing lower margin barrels with higher margin barrels. Liquefied natural gas (LNG) volumes up 16% year over year: LNG volumes in Q3’14 equated to almost 5.7 million metric tons per annum, up over 16% year over year, driven primarily by the acquisition of Atlantic and Peru LNG. The Repsol LNG transaction has been surprisingly accretive. Deep-water production is approaching 300 million barrels of oil per day equivalent, up from the low-point of 170 million barrels of oil per day equivalent [a year earlier]. Along with new production (Gumusut, Cardamom & Bonga NW), substantial incremental long-term opportunities exist in the Gulf of Mexico Appomattox and Vito. Also, exploration momentum continues. 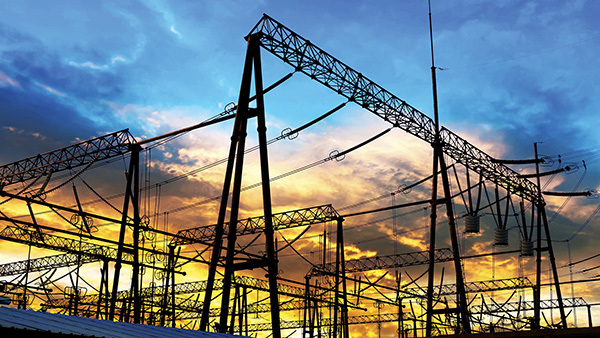 Asset sale program on track: With $12 billion of divestment completed this year, the $15-billion two-year asset sale program is progressing ahead of schedule. Currently, an additional $4 billion of asset sales are in progress. Solid balance sheet; cash distribution target reiterated: Gearing at the end of Q3 was 11.7%. Cash distributions (dividend plus buyback) over the past year have amounted to $15 billion and are in line with the $30 billion target for ‘14 and ‘15. Of the European integrateds, Shell is currently the best positioned to withstand prolonged cheap oil, given its relatively robust financial health. Still, there’s no question 2015 is going to be a very challenging year for the firm. With a capital outlay budget that is set to approach $35 billion and a $12 billion annual dividend payout, Shell is set to burn more than $13 billion in free cash flow based on current oil price futures. It’s possible that the capital expenditure cuts and asset sales could each reduce cash burn by a few billion dollars, but as of today it appears very likely that 2015 will be a year [in which] the company if forced to increase its balance sheet leverage to withstand the challenging operating environment. The firm’s gearing ratio is currently 12%, so Shell has plenty of financial resilience with which to both increase leverage and protect its dividend. At $50 Brent, we believe Shell’s dividend would not be at risk until at least 2017. If oil prices don’t recover in the coming quarters, Shell could still plausibly make major adjustments to its long-term spending plans in relatively short order. Regarding its near-term outlook, management provided guidance that each $10 per barrel change in oil prices equates to a roughly $3.3 billion change in cash flow and reported earnings. Pacific Drilling (PACD) reported Q4’14 earnings per share of $0.32, which was slightly below our forecast of $0.33 per share but ahead of consensus estimates of $0.29 per share. Earnings before interest, taxes, depreciation and amortization (EBITDA) of $179 million were ahead of our $177 million estimate and represented a 23% increase quarter over quarter. Revenue efficiency of 96.7% was in line with the company’s guidance and our estimate for the quarter. The quarter’s beat was driven primarily by contract drilling expenses of $123.8 million, which came in below our estimate of $127.5 million. Contract drilling revenues of $319.7 million were roughly in line with our estimate of $320.2 million and up 14% quarter over quarter. The final quarter of the year benefited from a higher average day rate, driven by a full quarter of operations on Pacific Sharav and an extension on Pacific Bora. Pacific Drilling posted a strong operational quarter with an impressive revenue efficiency of 96.7% and better-than-expected cost controls. On top of that, Pacific’s initial 2015 cost guidance comes in meaningfully below our prior estimate, though we would note that almost half the benefit comes from delaying new-build Zonda. Since the announcement of the original $152 million dividend, it has changed to a mixture of a buyback program and dividend to now only a buyback program. Given our outlook, we believe that Pacific has made a prudent choice to conserve cash.